After several days of intensive research, I finally found a small bit of information on the French pointe shoe brand, Degas. The about page on the Degas website doesn’t give detailed information about the company history other than the fact that the Degas Company was the creation of two former dancers from the Paris Opera Ballet. 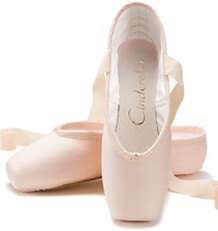 I had to do a double take when I read one of the names for their beginner pointe shoe models. The model is called Petit Rat. 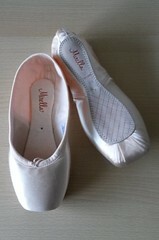 How interesting and amusing a name for a pointe shoe! In French, petit rat means small rat. 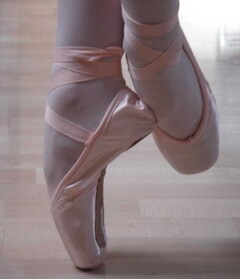 This is a term of endearment that The Paris Opera Ballet calls young students who are typically from 7 to 14 years old. 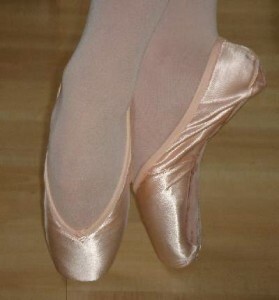 The Petit Rat was created for beginners new to pointe work. 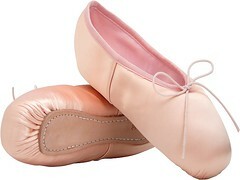 The shoes have a very flexible sole, a medium vamp, and a medium profile box. The Souris model is another beginner shoe with a flexible shank, medium profile box, and medium vamp. The toe boxes are tapered. 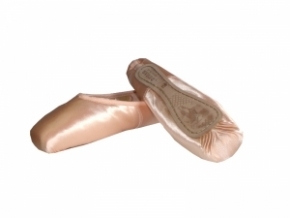 The Degas CH5 is suitable for beginning pointe students and comes with a harder shank and a lower vamp. The platforms are smaller on this model. 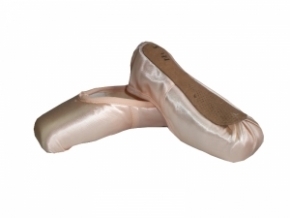 The Degas CH6 is a more flexible shoe with a medium vamp and a medium profile. This shoe is also suitable for beginners. 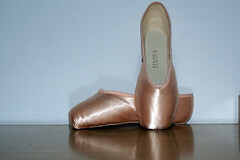 The Etude model was created for intermediate or advanced dancers. The boxes are tapered with a medium strength shank and medium profile. 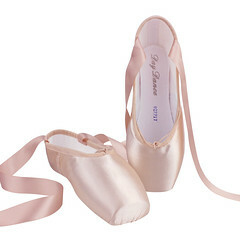 Degas ballet slippers are available to U.S. customers at the Degas U.S.A. website. 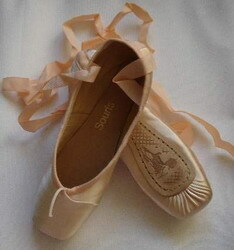 For more information about Degas pointe shoes you can visit the official Degas website here or visit Reflets Danse, a French dance supply company that has photos of the Degas models. Click on Nos Produits to see the models. 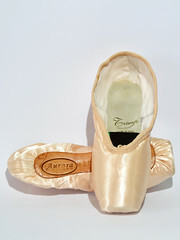 This entry was posted in French Brands, Pointe Shoe Brands and tagged Degas pointe shoes, French pointe shoes, Pointe Shoe Images, pointe shoes for beginners. Bookmark the permalink. 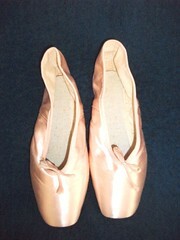 I have the same pointes shoes, I have Degas Petit Rat pointe shoe, I bought them of ebay from someone in Hawaii. Thanks for posting this information!